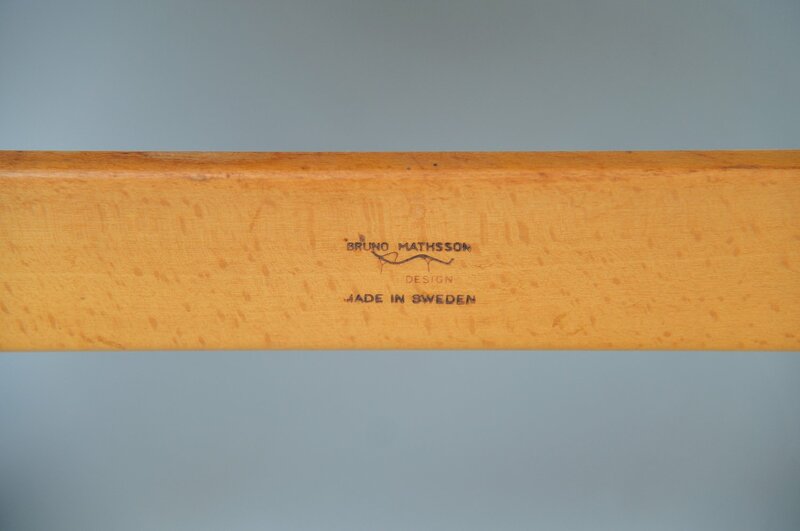 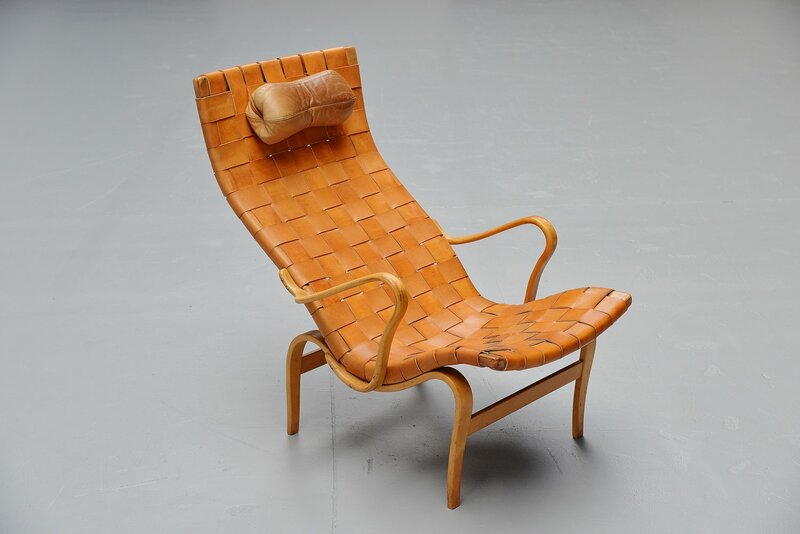 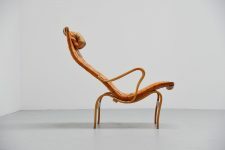 Sculptural lounge chair designed by Bruno Mathsson manufactured by Karl Mathsson, Sweden 1960. 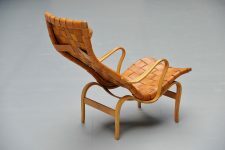 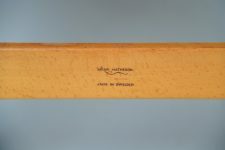 The design of this chair is from 1942, this example is from the 1960s. 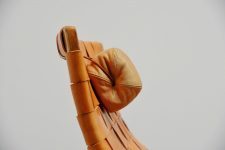 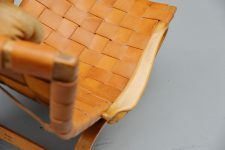 The chair has a steam-bent and laminated beech plywood frame, and natural leather straps with leather neck pillow. 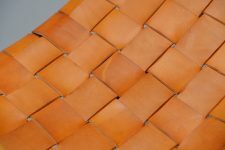 The leather straps are fully renewed with preservation of the authenticity of the chair. 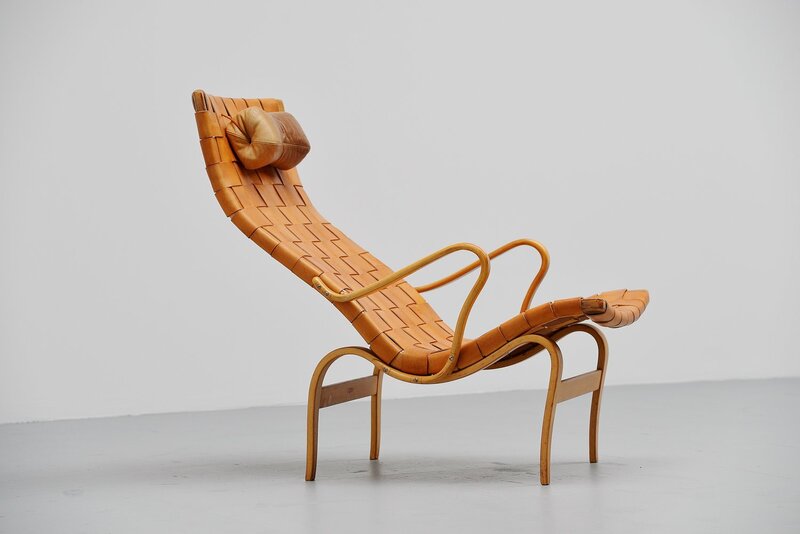 Amazing chair and comfortable seating pleasure here.